Salinas General Contractor | Ausonio, Inc.
Ausonio Incorporated is a licensed and insured commercial general contractor capable of running construction projects efficiently. Regardless if you are building a new residential or commercial building in Monterey, San Benito or Santa Cruz county, we can assist in making the task simpler and keeping it streamlined. Projects that involve building or remodeling are generally extensive, and anything can go wrong when an experienced general contractor is not involved in the project. Even a simple home remodel or repair may require the services of electricians, framers, plumbers, and painters. Coordination is key during any project. At Ausonio Incorporated, we are expert at general contractors as we have been assisting with the commercial construction needs of Salinas, Monterey, San Benito and Santa Cruz Counties for decades. We take care of construction permits, site security, site management, coordination of local and state site inspection, project schedules, cost review, and supervision of daily construction activities. 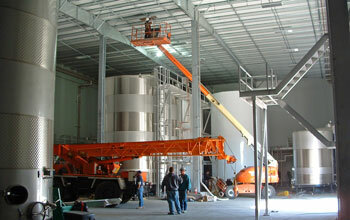 We coordinate with specialty subcontractors and we oversee the project until it’s completed. One of the main advantages of hiring us is that your project will be completed at a fixed cost. We assume a certain amount of risk when offering our services at a fixed price. If the project takes longer to complete or we run into unforeseen difficulties, then it is our financial burden and not our customer’s burden. If there are any issues or details that you want to be addressed regarding your project, you only need to contact our company as your one point of contact. 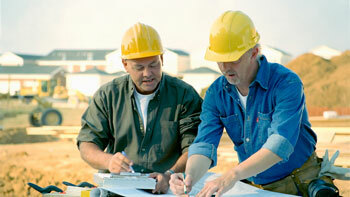 This eliminates the confusion dealing with multiple subcontractors. At Ausonio Incorporated, we work with our customer’s existing plan while incorporating our own design ideas that are typically cost-effective. We select specialty subcontractors, in addition to our own crew, to ensure that all projects we are working on are performed only by experts. Regardless of the tasks at hand, we make sure that all aspects of our customer’s projects are on track. Our team of experts are methodological in executing the plans of our customers’ construction and remodeling projects in accordance with the contracts including labor, budgeting, supply of construction materials, equipment, and quality services necessary to complete the construction of our customers’ projects. We bid out any potential construction or remodeling job in predetermined packages and our extensive cost histories will help us verify the bids. In the entire duration of the project, we manage and oversee the daily activities including quality control, safety, and adherence to the schedule. We are highly experienced in performing many aspects of the project, which allows us to have great control over the projects schedule. The key objective of our business is to provide our customers with high quality general contracting services with focus on the needs of our customers. Our company’s quality craftsmanship, efficiency, fair pricing and honesty have helped us remain one of the leading general contractors in the Bay Area. If you are in need of construction management, green building, LEED consultant, design build specialist, architectural design, or general contractor services in the Monterey, San Benito, or Santa Cruz counties, please feel free to contact us. Find out how we can help you. Request a consultation today.